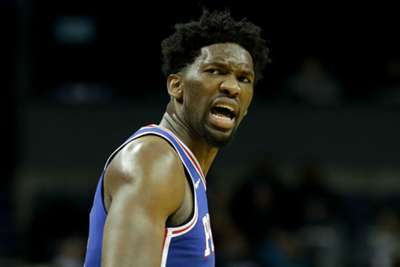 Philadelphia 76ers All-Star Joel Embiid has set his sights on winning the NBA's MVP in 2018-19. Embiid averaged 22.9 points and 11 rebounds for a Philadelphia team that registered a 52-30 record last season and reached the playoffs for the first time since 2011-12. The 76ers were eventually eliminated by the Boston Celtics in the second round. 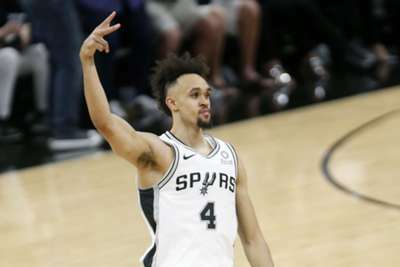 Philadelphia did not add a marquee player this summer despite their efforts to sign LeBron James and Kawhi Leonard. But, that does not matter to center Embiid. "Big free agent or not, my goal going into the offseason was to get better," Embiid said on Wednesday. "I want to win the MVP … I feel like at the end of the day it might be an individual award, but when I play better, the team also does. I feel like if I'm an MVP candidate, or if I win the MVP, that means we are on another level." Philadelphia's biggest offseason moves were re-signing guard J.J. Redick and trading for Denver Nuggets forward Wilson Chandler. Embiid, who made his first All-Star team in 2017-18, was originally selected by Philadelphia with the third pick in the 2014 draft. He has struggled with injuries throughout his career and has appeared in just 94 NBA games.